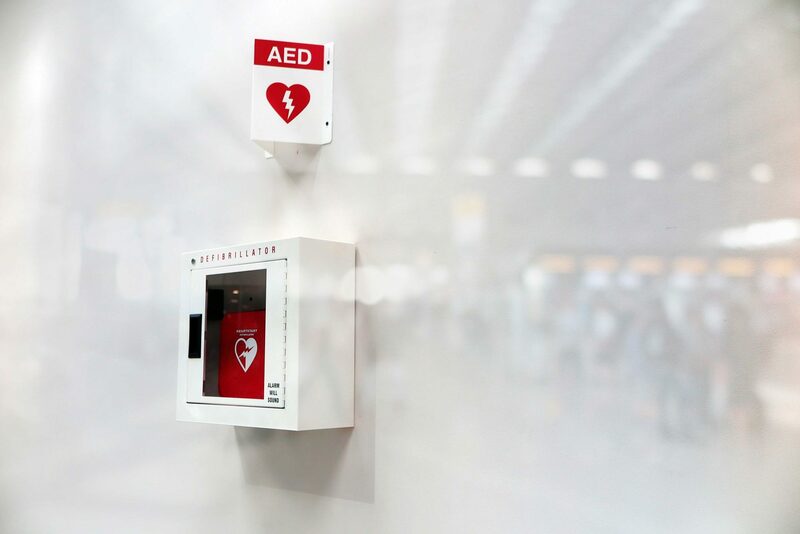 Automated External Defibrillators (AEDs) are portable devices powered by a rechargeable battery that can detect an arrhythmia (ventricular fibrillation) in the setting of a cardiac arrest and deliver a shock that can correct the arrhythmia. Most cardiac arrests occur from ventricular fibrillation which is a condition where erratic electrical impulses in the muscle fibers of the heart prevent the heart from beating in a coordinated fashion. If untreated within minutes, death will ensue. Bystander CPR prolongs the time that the heart can be defibrillated, but chances for survival drop by ten percent every minute the heart is in ventricular fibrillation. Prompt action saves lives. AEDs are safe to use with proper training. Many local Fire Departments and EMS organizations offer training programs, often with CPR instruction. Learning CPR and the basics of AEDs saves lives. Telluride EMS has produced an instructional video (below) on the subject which is available online and is shown at the Nugget Theatre as a public service announcement. San Miguel County, the Telluride Fire Protection District and the Norwood Fire Protection District have many AED (Automated External Defibrillator) units available for public use in a heart attack emergency. For information on how to use an AED, visit the Red Cross.